Traveling north on IH-35, take the Highway 183/Research Boulevard North exit and fly-over. Take the Burnet Road exit. Turn left onto Burnet Road. It is located at the corner of Anderson Lane and Burnet Road at Northcross Center. Traveling north on IH-35, take the ramp on the right toward Andice/Lake Georgetown. Turn right onto RR 2238/William Drive and then immediately turn left onto TX158 Spur/N. Austin Ave. Mel's will be on the left. Traveling north on IH-35, take the Highway 183/Research Boulevard North exit and fly-over. Take the Burnet Road exit. Turn left onto Burnet Road. Highland Lanes will be on the left. Traveling north on IH-35, take the exit for RR 2222. Turn left on RR 2222/Koenig Lane. Cross Lamar Boulevard and Sunshine Drive, then turn left on Grover Avenue. Dart Bowl will be on the right. Traveling south on IH-35, take exit 228 toward William Cannon. Turn right on William Cannon. Turn left on West Gate Boulevard. Westgate Lanes will be on the right. Traveling north on IH-35, take the FM 3406/IH 35 Business Loop exit on the right. Turn left onto W. Old Settler's Boulevard. then turn right onth Chisholm Trail Road. The Round Rock Sports Center is on the left. It is our pleasure to welcome your team to the 2019 Special Olympics Texas Winter Games. 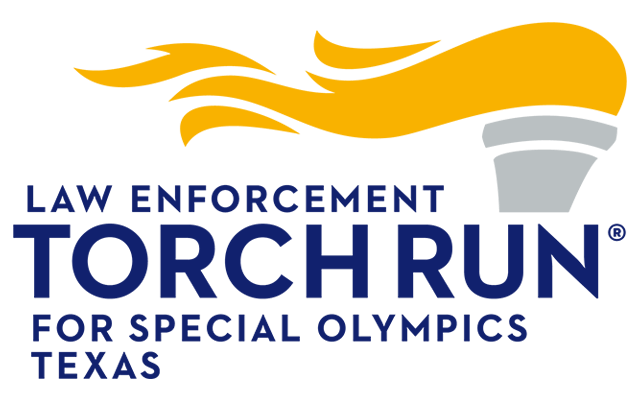 On behalf of Special Olympics Texas staff and the Games Organizing Committee, we extend our sincerest thanks to the many volunteers and sponsors who have made this event possible. Thanks to their support the Special Olympics athletes have the opportunity to demonstrate their skills and abilities. Most important we would like to take this opportunity to thank each of you. Without your passion, commitment and dedication to the mission of Special Olympics and our athletes, we would not be here celebrating the best that sport has to offer. This informational guide provides useful information for all attending these games. Take time to review this entire section thoroughly before you leave for the 2019 Winter Games in Austin. If you have any questions or problems, immediately contact the Chapter Headquarters at 512.491.2932, rather than waiting until registration. Copies of this section will NOT be available at registration. The guide is being shared exclusively online this year, so please make sure you bring a copy with you and share the information your delegation. We look forward to seeing you at the 2019 Winter Games. For continued updates about Winter Games and Special Olympics Texas, follow us on your computer or phone. Texts: text "wintergames" to "888777" for news and alerts. Every delegation volunteer must go through the volunteer registration process before arriving at the Games. That means every head of delegation, coach, chaperone, coaching staff member, bus driver, and Unified Sports partner must have a current signed Class A Form on file in the chapter office, and must have a completed General Orientation and Protective Behaviors. Every competing Unified Sports partner must also have a current, signed Unified Sports Partner Form on file in the chapter office. Print a copy the Information Guide section of the SOTX Winter Games website and bring it to Austin. Hard copies will not be available on site. Any volunteer/delegation which does not have a 15-Passenger Van Transportation Certification Form on file with SOTX, and who uses a 15-passenger van as transportation to an official SOTX activity (training, competition, special event, etc. ), will receive a warning/citation for the first infraction. A second infraction will result in the volunteer and/or delegation of athletes not being allowed to participate in the SOTX activity/competition. This restriction includes activities/events/trainings/competitions at all levels of the organization: local, area and state/chapter. Coaches who violate this policy will be subject to sanctions (Section E of the SOTX Information Guide). Registration will be held on Thursday, February 2, 2019 from 4:30 p.m. to 9:30 p.m. Opening Ceremonies will be moved to Saturday night as part of the Victory Dance. Late registrations will be held in the results room at Highland Lanes on Friday, February 2, from 9:00 a.m. to 12:00 p.m. Teams should check into their hotels prior to Winter Games registration. Each head of delegation must complete a delegation contact form with cell phone numbers for the HOD and each head coach. This information is very important in the event of an emergency. A Scratches Deadline has been established for each Chapter Games. Scratches of Athletes and/or Unified Partners will incur a $15.00 administration fee per participant that scratches if submitted after the Scratches Deadline. Scratches Deadlines can be found on each Chapter Gmes Entries Processing Schedule. The Entries Processing Schedule is listed at www.sotx.org/competitions on each Chapter games competition page. Scratches must be submitted by the scracth deadline to the Director of Games management in order to avoid the administration fee. Registration stations will be set up for each region. The head of delegation will pick up their delegation packet at their regional table. The HOD will submit their delegation contact form and Aquatics Liability Form at this station. All teams must first register at their regional registration station. Payments must be made at this station. Wristbands of scratched athletes will be handed in at this station. Refunds will not be processed without wristbands. The chapter headquarters will issue all refunds. Any delegation that needs to resolve problems relating to competition (such as assignment to proper events, athletes omitted from an event, etc.) should report to the event troubleshooting station. Missed wristbands will also be available at this station. Refunds will not be processed without the wristbands. The chapter headquarters will issue all refunds. No "walk-ups" during the event will be allowed to participate. Wristbands, which contain important and useful event information, will be provided for each athlete. Please review the following example and contact Ellie at the support services office at 512.491.2943 if you have any questions. Reminder: A certified head coach must be on-site at each sports venue. Furthermore, each team must have its own certified head coach on the bench. The head coach of a Unified team must be dually certified in the sport and in Unified Sports. Coaches will be asked to respect the rules regarding access to field of play that govern each sport at the 2019 Winter Games. Security personnel have been instructed to assist competition directors in strictly enforcing this policy, so please cooperate with their instructions. Athletes using wheelchairs and other athletes with special accessibility considerations and their coaches will be given special consideration only during scheduled competition. All delegation support personnel and athletes must wear their credentials at ALL TIMES during the Games. These credentials will be required for admittance to competitions, special events and other Games activities. Athletes may enter and compete in only one sport. Each sport has specific limits on the type and number of events that an athlete may enter. Specific time schedules for each competition will be posted on our website by January 11, 2019. This will enable us to structure the schedules to the entries actually received at the chapter headquarters. The sports schedules contained in this guide provide the projected start and finish time for each sport. All delegations should plan on being available for competition at these times – no exceptions. Protests shall not be accepted or considered if they are based solely on a decision involving the accuracy or judgment on the part of an official. Protest forms must be completed and submitted within 30 minutes of the event in question to the venue/sport director. Forms will be available on-site. National Governing Body (NGB) rules shall apply except for when they are in conflict with the Official Special Olympics Sports Rules and SOTX modifications found in the SIG. National Governing Bodies (NGB): Bowling – United States Bowling Congress; Powerlifting – International Powerlifting Federation; Volleyball – United States Volleyball Association. Furthermore, each volleyball team must have its own certified head coach on the bench. The 9 head coach of a Unified team must be dually certified in the sport and in Unified Sports®. Reminder: A certified head coach must be on-site at each sports venue. Unified Sports® partner is competing. Unified Sports® volleyball requires a dual certified, non-playing bench coach at all matches. This Unified Sports® head coach is not permitted to play at any time during a match. The Sports Rules Committee will be in place and functioning at each competition venue as designated by the appropriate governing body. This group will address on-site protests and rules interpretations as needed. The rules committee will be identified prior to the start of competition on Friday. It is the goal of the Games Organizing Committee to address all protests at the venue level. Specific time schedules for each competition will be posted on our website by January 18, 2019, as well as given out at the coaches’ meetings. This will enable us to structure the time schedules to the entries actually received at the chapter headquarters. The sports schedules contained in this handbook provide the projected start and finish time for each sport. All delegations should plan on being available for competition at these times – no exceptions. National Governing Bodies (NGB): Bowling - United States Bowling Congress; Powerlifting - International Powerlifting Federation; Volleyball - United States Volleyball Association. Furthermore, each volleyball team must have its own certified head coach on the bench. The head coach of a Unified team must be dually certified in the sport and in Unified Sports. Reminder: A certified head coach must be on-site at each venue. The FINAL SCHEDULE will be posted on the SOTX website after lane assignments are made on January 18, 2019. When bowling competition is completed, athletes are to REMAIN IN THE PIT AREA. Athletes will be awarded on the lanes. Upon completion of presentation of awards, the athletes will be turned over to their coach or chaperone. The bowling shifts are scheduled in 3 hour blocks of time. Within that time frame we need to complete the bowling and awards presentations so the next shift can start on time. The athletes will have a time limit of 2.5 hours of play. If a game is running long and we have to stop it, we will make sure that the athletes have completed the same number of frames. Foul lines will be turned on for all competitions. Individual handicap scoring will be in effect for all levels (including doubles and teams) of competition. See SIG for more information. Except for assisted bowling, NO COACHES, CHAPERONES OR FAMILY MEMBERS are allowed in the pit area during competition. Assisted ramp bowling coaches are only allowed in the pit area while their athlete is competing. Coaches must have proper event credentials to enter the pit area. In the assisted ramp bowl, the athlete aims the ramp into position with assistance. A volunteer may assist with retrieving the ball from the return and placing the ball on the ramp. The athlete positions the ball on the ramp with assistance and pushes the ball down the ramp towards the target. 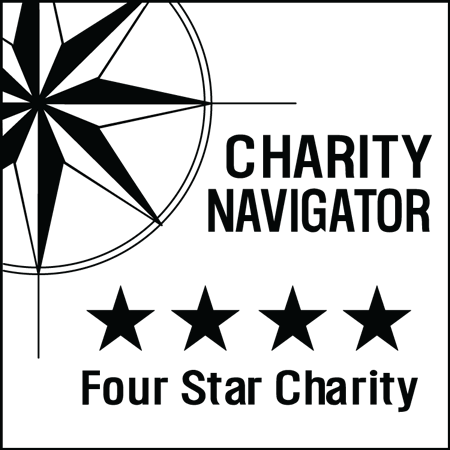 The volunteer may guide, align, or direct the ramp and athlete, but may not support or assist with the ball's forward movement. The volunteer may place one hand on the ramp after it has been positioned solely to stabilize it. A 100% rabbit percentage will be used for this event. This means that any bowler, pair, or team that averages double that of their entry score for three games will be awarded in a heat more appropriate with their result. See SIG for more information. In the unassisted ramp bowl, the athlete aims the ramp into position unassisted. A volunteer may assist with retrieving the ball from the return and placing the ball on the ramp only. The athlete positions the ball on the ramp and pushes the ball down the ramp towards the target. The volunteer may place one hand on the ramp after it has been positioned solely to stabilize it. Absolutely no coaching or guiding of the ramp is allowed. A bowling head coaches meeting WILL NOT be held at the Games. This competition is scheduled for a one day only event. The Wilkes Formula will be applied when weight classes are combined. There will be a mandatory rules meeting for all coaches just prior to the competition. Awards for this sport will be presented on-site and immediately after competition is completed. The squat event will be a sanctioned event. Proper equipment for this event, including a power suit and knee wraps, is the responsibility of the individual athlete. The undershirt worn under the lifting suit must meet the standards outlined in the Official Special Olympics Rules. Spandex is not an option. Athletes entered must be capable of lifting the standard bar and weights. See the Official Special Olympics Rules. In the deadlift the starting height of the bar will be based on the weight the athlete lifts. The use of boxes to raise the starting height of the bar is not an option. The weights used on the bar will be the standard discs outlined in the Official Special Olympics Rules. Weight modifications of the bar or discs are not an option. In the benchpress the athlete must be able to do the lift in its entirety as outlined in the Official Special Olympics Rules. The coach will not have the option to physically assist the athlete in any aspect of the lift. Please note that Volleyball Individual Skills competition will be held on Saturday. The Points of Emphasis and classification schedule will be posted on our website January 18. All competition will be held in accordance with USA Volleyball 25 point rally scoring rules in place. A set is won when a team scores 25 points and has at least a two-point advantage over the opponent. During medal round matches, tie-breaker games will be played to 15 win by 2 (per USA Volleyball rules), no cap. The classification team can determine modifications for each division whether a side-out or rotation after a serve limit has been reached, and/or modified line and net height. A three or five serve limit. All modifications and proper divisioning will be determined at classification. The SOTX Modified Service Line Rule will be in effect. This rule states that the service line will be moved to 4.5 meters (14 ft., 9 in.). An athlete can choose to serve from any distance behind that line. Unified Sports® volleyball must have a dual certified, non-playing bench coach. It is required that every athlete listed on the roster must play during regulation game time. Not following the participation rule will result in a forfeit. The first time it occurs during the tournament will result in a forfeit of that game for the offending team. If that team violates this rule a second time, they will be removed from the tournament. Additional offenses will result in possible revocation of the coach’s certification. Coaches may indicate on their roster, prior to the start of the game, any players who will not play due to injury or behavior problems. Note: The only exception is in volleyball where each player must compete in every match, not every set. Wellness Park 10:00 a.m. to 4:00 p.m.
Athlete Village 10:00 a.m. to 4:00 p.m.
Wellness Park 10:00 a.m. to 3:00 p.m.
Athlete Village 10:00 a.m. to 3:00 p.m.
Athlete Dinner 6:00 p.m. to 7:15 p.m.
Athlete Celebration and Victory Dance 7:30 p.m. to 9:00 p.m.
Wellness Park is a Healthy Athletes event where athletes and Unified partners have an opportunity to receive free health screenings and services in a welcoming and fun environment. This year at Winter Games, health professionals and volunteers will join us and offer their services for the FUN Fitness, Fit Feet, Strong Minds, Healthy Hearing, Special Smiles, MedFest and Health Promotions disciplines. The screenings are tentatively scheduled to run from 10:00 a.m. to 4:00 p.m. on Friday, February 1 and from 10:00 a.m. to 3:00 p.m. on Saturday, February 2 at Norris Conference Center. To get the most out of Winter Games, you and your athletes should attend Athlete Village. There will be a variety of amusements, entertainment and exhibits located at Norris Conference Center. Athlete Village will be open on Friday, February 1 from 10:00 a.m. to 4:00 p.m. and on Saturday, February 2 from 10:00 a.m. to 3:00 p.m. We encourage all teams to visit Athlete Village and enjoy the festivities. A Silent Auction will be held at Athlete Village. Meals will be provided Saturday evening for all credentialed participants. Those wearing an Athlete, Chaperone or Coaching Staff wristband will receive dinner. Meal distribution will begin at 6:00pm and last until 7:15pm. Meals will be hosted on the back two courts at the Round Rock Sports Center. Special Olympics Texas will strive to provide a diverse meal plan, but please plan accordingly for special dietary needs. Opening Ceremonies will be held on Saturday, February 2 as part of the Victory Dance. The Athlete Celebration and Victory Dance will be held from 7:00 p.m. to 9:30 p.m. on Saturday, February 2 at Round Rock Sports Center. There will be an opportunity to purchase merchandise, meet athletes, coaches and families from other parts of Texas, and, of course, DANCE. Only gym shoes or runner soled shoes are allowed on the gym floor. This pertains to everyone. Those not following this rule will be asked to remove their shoes. Registration 4:30 p.m. to 9:30 p.m.
Dart Bowl 8:00 a.m. to 3:00 p.m.
Mel's Lanes 8:00 a.m. to 3:00 p.m.
Volleyball 8:00 a.m. to 5:00 p.m.
Volleyball 8:00 a.m. to 4:00 p.m.
Athlete Village 10:00 a.m. to 2:00 p.m.
Mel's Lanes 12:00 p.m. to 4:00 p.m. Victory Dance 7:00 p.m. to 9:30 p.m. Teams are responsible for their meals. Austin has a vast array of dining options. In addition, each of the bowling venues will have food available for purchase at their respective grill/cafe. Volleyball will have concessions available and will only allow food in the venue from the concessions stand. Delegations will stay in hotels or residences. A preferred hotel list is posted on the SOTX website at www.specialolympicstexas.org. It is recommended that you book rooms immediately if you have not already done so. The Command Center phone will be staffed beginning Thursday, February 1. If any medical emergencies arise, please call the Command Center, so the proper officials can be notified. The Command Center number is 408.353.6813. Possession or use of any narcotic stimulant, depressant, or hallucinogenic drugs without a doctor’s permission. Possession or use of any electrical heating, cooking, or food preparation appliances. SOTX and the host hotels will not be responsible for personal belongings lost or stolen while staying at the hotels. We ask that all athletes and coaches be in by 11:00 p.m. Coaches must not leave athletes without appropriate adult supervision. Coaches are responsible for the conduct and supervision of their athletes at all times. All coaches are expected to devote 100% of their time to supervising their athletes. Any athlete found unsupervised or involved in disruptive behavior may be disqualified from the Winter Games. Also, the coach of that team may be suspended from all SOTX events for a period of up to one year. Furthermore, the administrators of the sponsoring agency or school will be notified in writing of the inappropriate conduct of the coaches and athletes. Supervision of the athletes is the key to a safe and enjoyable experience. Copies of athlete medical forms will be kept by the Director of Games Management. Please keep your medical form copies with you at all times. Brackenridge Hospital will serve as our primary medical facility. All emergencies must first go through the on-site medical team. If an athlete must be transported by ambulance, the coach, parent or guardian of the athlete must accompany the athlete. After treatment, the Director of Sports and Training must be notified of the accident/incident. The incident report form must be reviewed and signed by a SOTX staff person verifying that the incident occurred as reported. The form is submitted to the area office and faxed to the SOTX insurance carrier. If you need assistance please contact Sarah Haines, at 480.353.6813. We also welcome CDs of high-resolution (300 dpi) images of your “best of” shots from Winter Games. By signing the Athlete Enrollment/Medical Release Form, every athlete granted permission to have his/her likeness videotaped or photographed. Additionally, athletes can be quoted and are encouraged to talk to members of the media (with coach, staff or parental supervision).